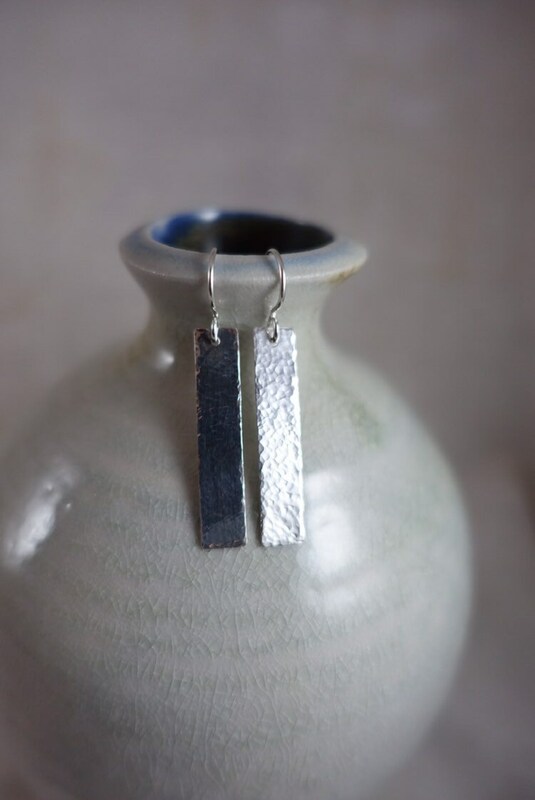 A nod to the independence it took to dive into this business and the opportunity for growth it has shown me over the last 13 years. 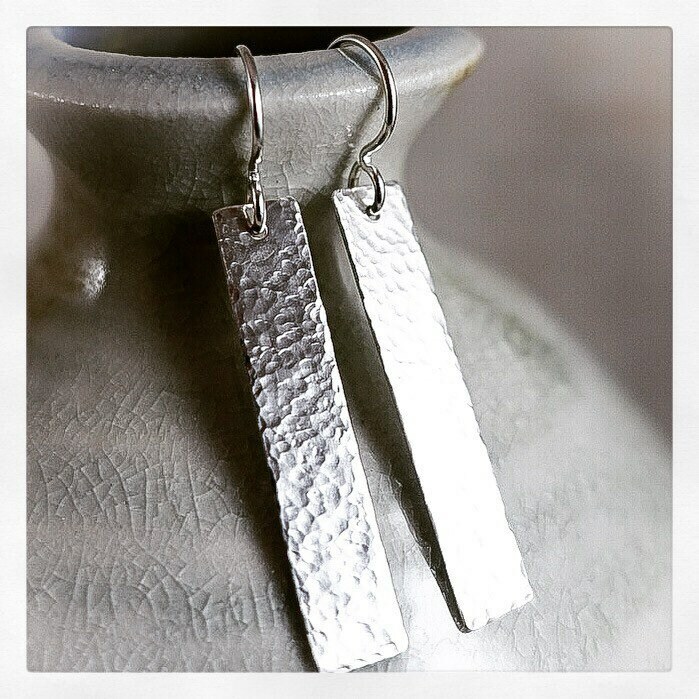 Hand forged sterling silver rectangles offer simplicity and strength in this fierce pair. 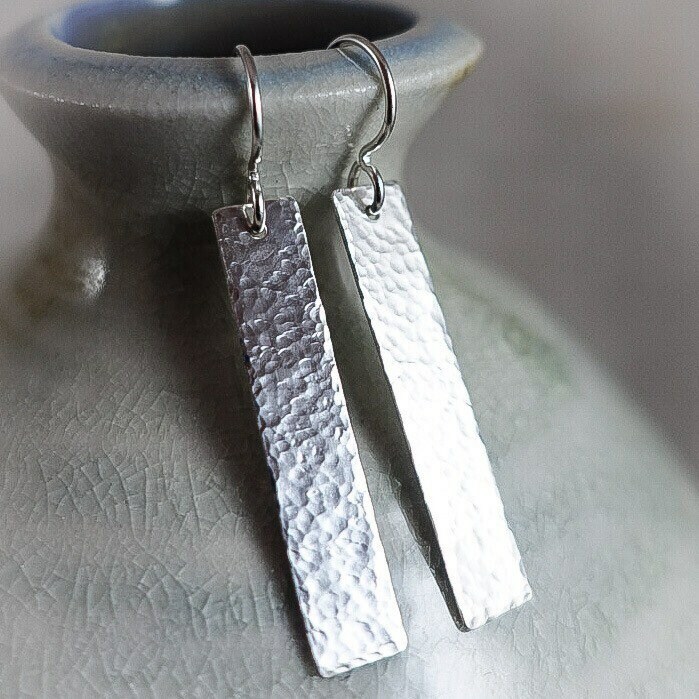 These hang 1.25 inches from sterling silver ear wires and are a quarter inch wide. Rubber clutches are provided for security.